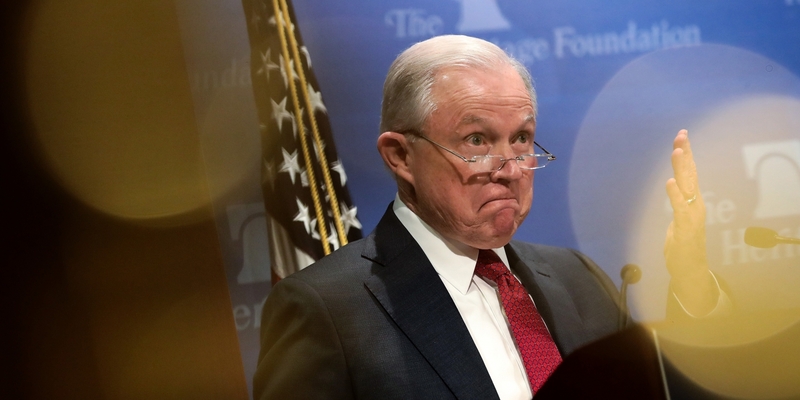 A dispensary in Colorado has decided to troll Jeff Sessions in the best way possible: by naming a strain of weed after him. It’s no secret how Jeff Sessions feels about cannabis by now. He’s said in the past that it’s only “slightly less awful” than heroin, that it leads to violence, and that good people don’t use cannabis. He’s also promised a federal crackdown on legal cannabis, thus threatening the livelihoods of people participating in what is a perfectly legal profession in 29 states. Rather than living in fear, Medicine Man dispensary in Denver decided to do the best thing possible by mocking him mercilessly for it. Why not mock the man? He has garbage opinions on cannabis, not to mention he’s a horrific racist. Jeff Sessions deserves all the mockery in the world. The new strain, called Jeff Sesh-ons, is a hybrid of popular strains Jet Fuel and Bio-Diesel. The strain, cultivated by 303 Seeds, is nearly identical to another strain called Rocket Fuel, but different enough that it warranted a new name. Bradley Roddy, director of retail operations for Medicine Man said that the staff considered a number of names for the new strain, but eventually settled on naming it after the weed hating attorney general because he had been in the news cycle at the time. “It’s topical and kind of fun. You may see more strains like that,” Roddy said. I sincerely hope we do. Will you try the Jeff Sesh-ons strain? Tell us in the comments! Cannabis has Found a New Demographic: Seniors!